While GE and TWINE on the N64 were what I really grew up with, TND on the PS1 was the first title I got when I first purchased the system, oddly enough, and I loved it so much. It totally blew my little brain away at the time, how I was playing missions that I had previously witnessed on screen. It was very fun. It was my second Bond game. I liked it but was disappointed by how short it was compared to GoldenEye. It's a shame Rare didn't make Tomorrow Never Dies. It could have been amazing. 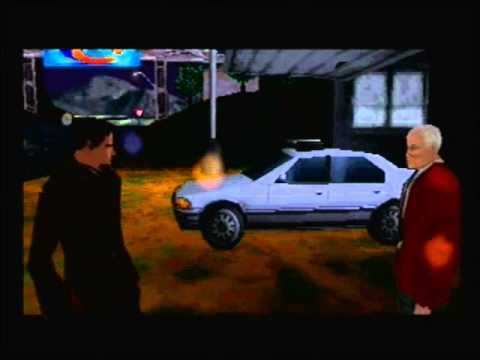 ﻿Got a video from a friend who has a clip of a 1999 beta version which shows the alternate shot of Dr. Kaufman. The reason they changed it is because his arms looked very buggy so instead of fixing this they made a loop of the second shot of him in the final. Notice the whole shot has a very unfinished look. I think it was Twine on playstation but a memory I will always treasure is getting my late Grandfather to have a go, and he kept on shooting Q and failing the training! Tomorrow Never Dies. Mission: Convoy. I remember playing GoldenEye and The World Is Not Enough, particularly the latter, but not this one. Yes that's it. Thanks mate. Sad that Desmond himself died in a car crash around this time. You're welcome, my friend. And agreed, that day, the world had lost a great man. I agree, I love the music to this game. It’s a nasty little game. But, seeing it was my first ever Bond game, I have a nostalgic soft spot for it.